UK Masters Crew from Walton Rowing Club from Walton on Thames, racing under the Rosie Hackett Bridge. 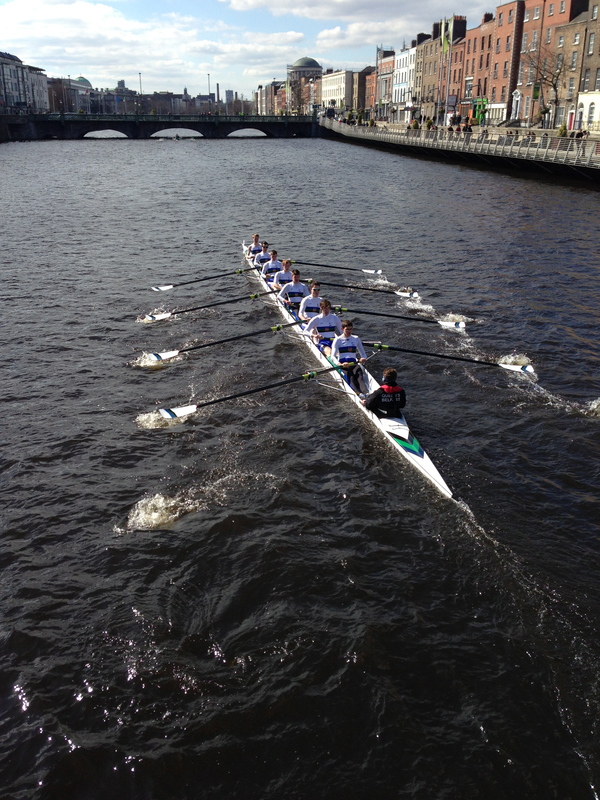 The 71st Dublin Head of the River took place on the Liffey on Saturday 7th of March. We would like to congratulate DUBC who won the Head in a time of 14 minutes and 7 seconds. Full results of the Head can be viewed by clicking here for times listed by pennant and here for results listed by overall times. 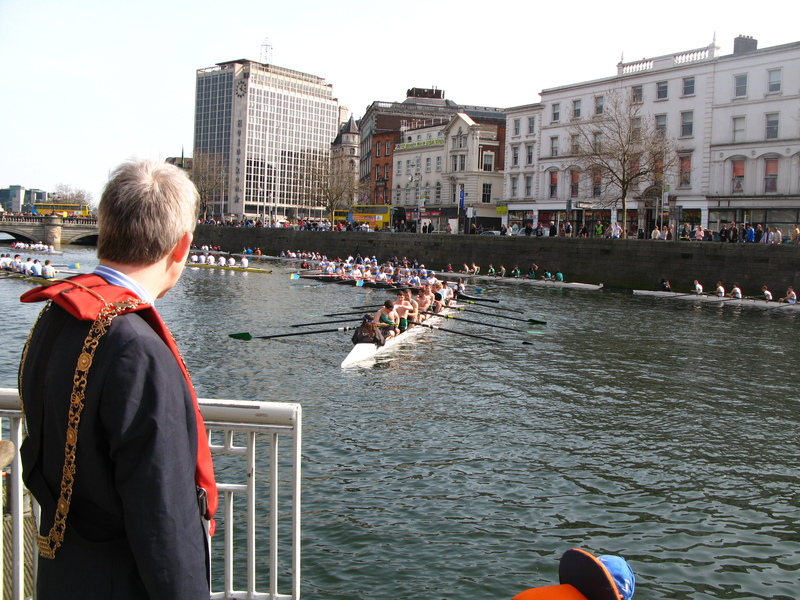 We welcomed a visiting Masters crew from Walton Rowing Club, the first overseas crew to compete in Dublin Head for some years. We would like to thank Councillor Mannix Flynn for starting the race. Councillor Flynn is pictured below with Murrough O’Brien, President of Old Collegians Boat Club. 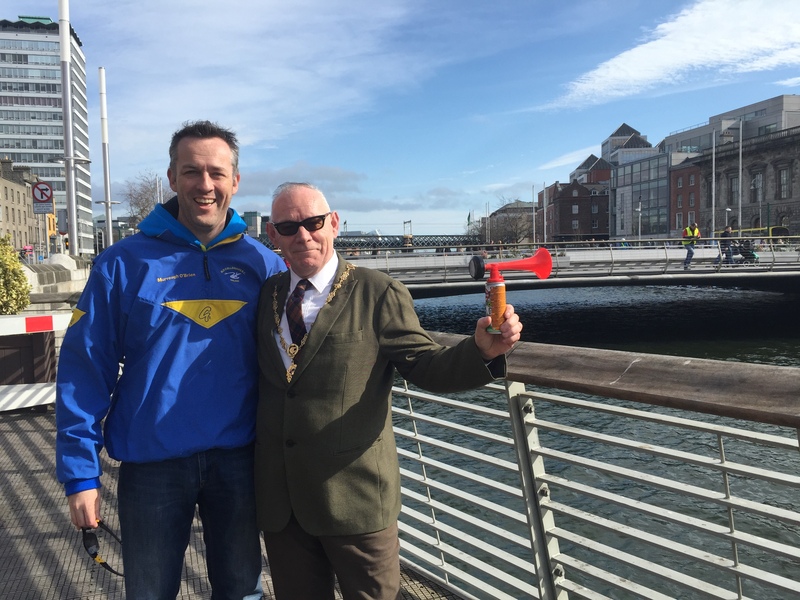 The Lord Mayor of Dublin Oisín Quinn joined us at the Boardwalk on Bachelor’s Walk, to start the 70th Dublin Head of the River Race on the river Liffey. This year saw a record 42 boats competing, with crews from all across the country coming to compete. 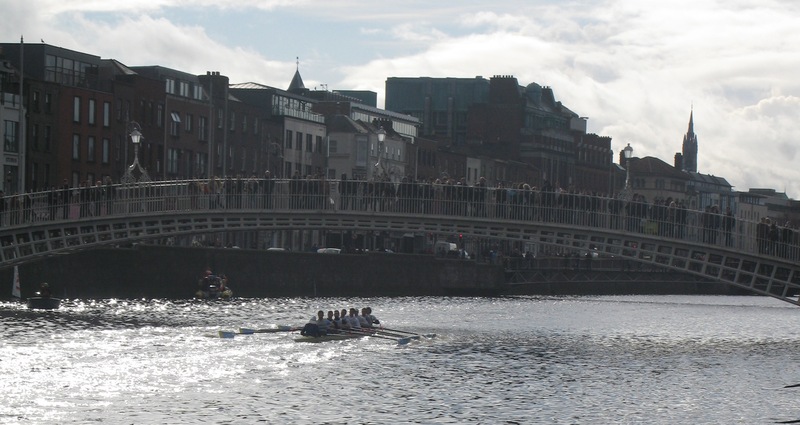 The 70th Head of the River pennant was shared by Commercial Rowing Club and Dublin University Boat Club, with both crews finishing in a time of 11 mins 39 seconds. 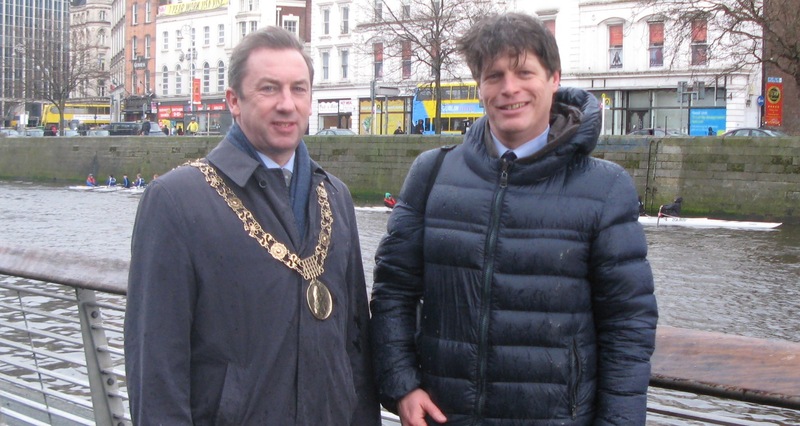 The 2014 Dublin Head of the River race will take place on Saturday 22nd of March on the River Liffey, and will be started by the Lord Mayor of Dublin, Oisin Quinn. 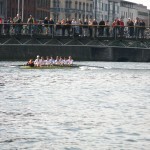 The 69th OCBC Dublin Head sponsored by Romeril Forensic Engineers took place on Easter Saturday, 30th of March. 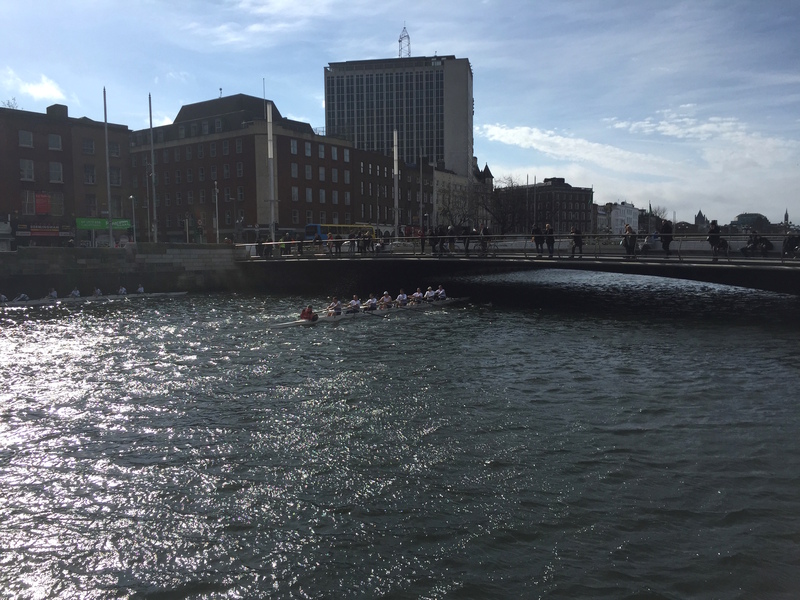 We had a really nice cool, bright sunny spring day, conditions were good for racing, a little bumpy to Heuston Station but overall good, coupled with a gentle eastern breeze, it was a day for for quick times. 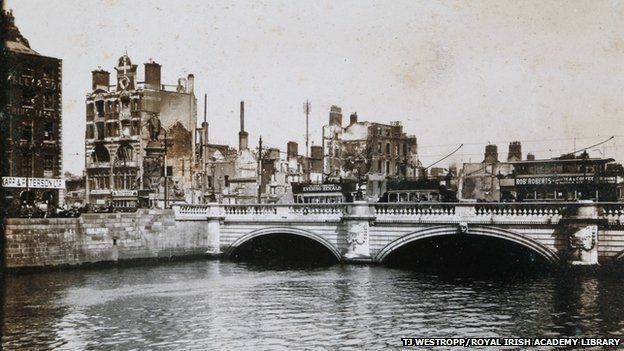 Once again new bridge works meant we had to move the start up to Ha’penny Bridge. 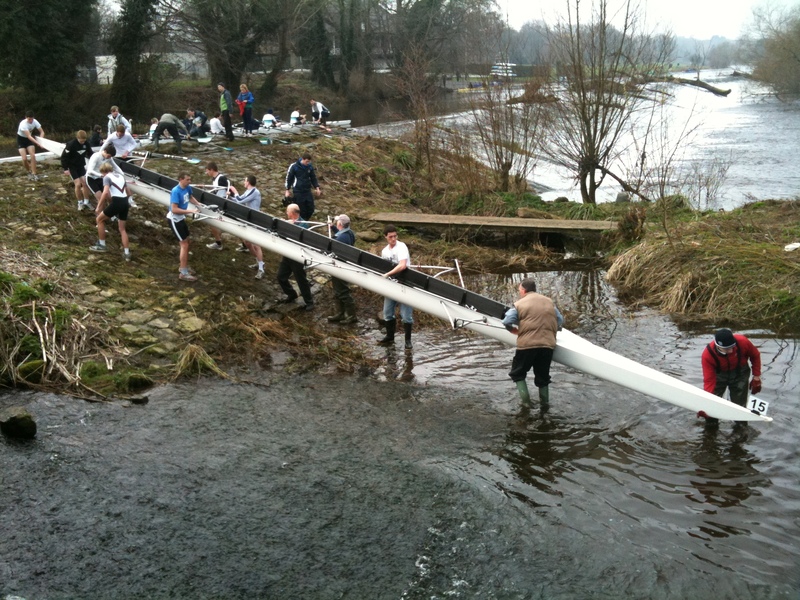 The spring tide made getting over the weir a challenge but the OC lads on hand played a blinder in getting boats over safely and quickly, and 32 boats took part. The winner of the Senior 8 and the overall Head was a dead heat between a Commercial-based composite and a UCD Senior / Inter crew, with both crews taking away a pennant and sharing the O’Brien Cup. 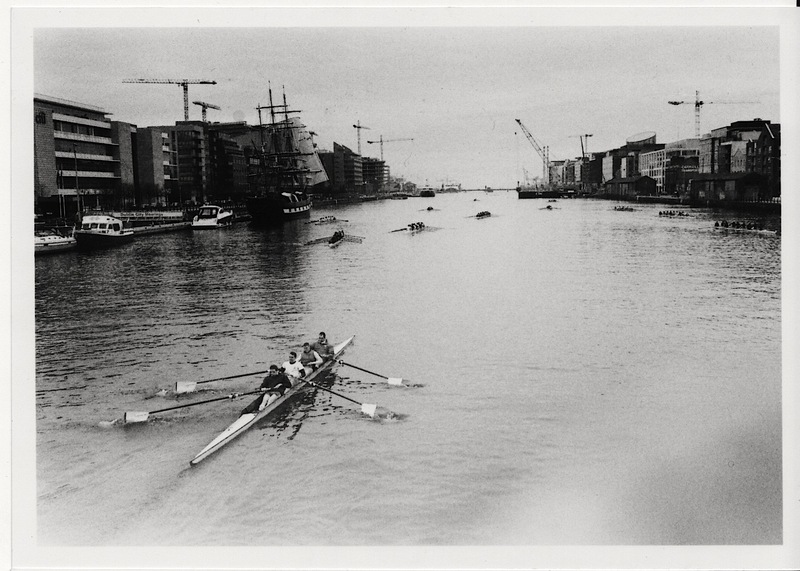 I understand that the one previous dead-heat in the event was a UCD/DUBC tie in 1953. To view photographs of all of the crews taken from the Millennium Bridge click here. UCD won the Diana Cooke Trophy for best overall Club. Huge thanks to the OC members and friends who volunteered. Obviously without the volunteers the event cannot happen. 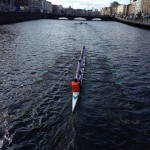 Thanks also to Neptune RC, DUBC and in particular UCDBC. Without the use of UCD facilities, we could not run the event. Next year is the 70th Head and we hope to make a big splash (figuratively). Those of you involved in Clubs overseas might consider a trip home with a crew for that one. 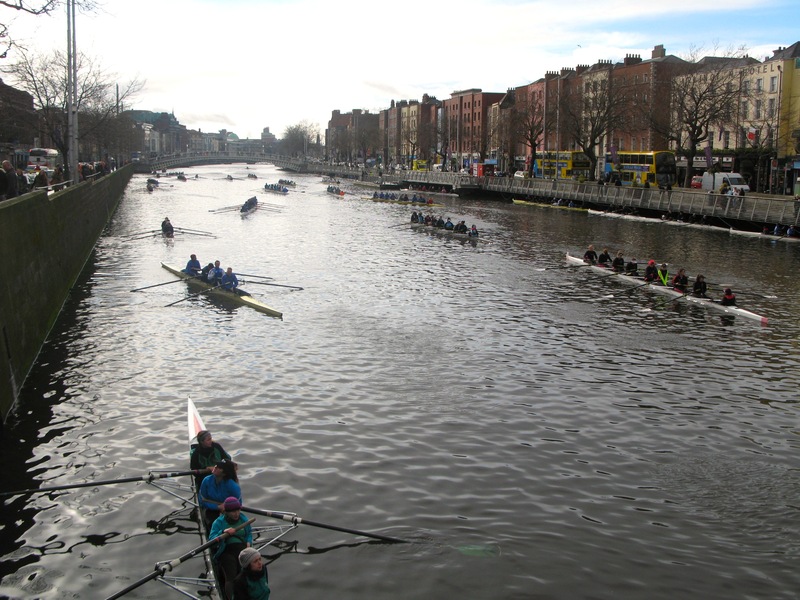 As ever, we’ll need more bodies to help run the event though, no previous experience required – we’ll forward the date to all as soon as we can confirm it with Rowing Ireland. 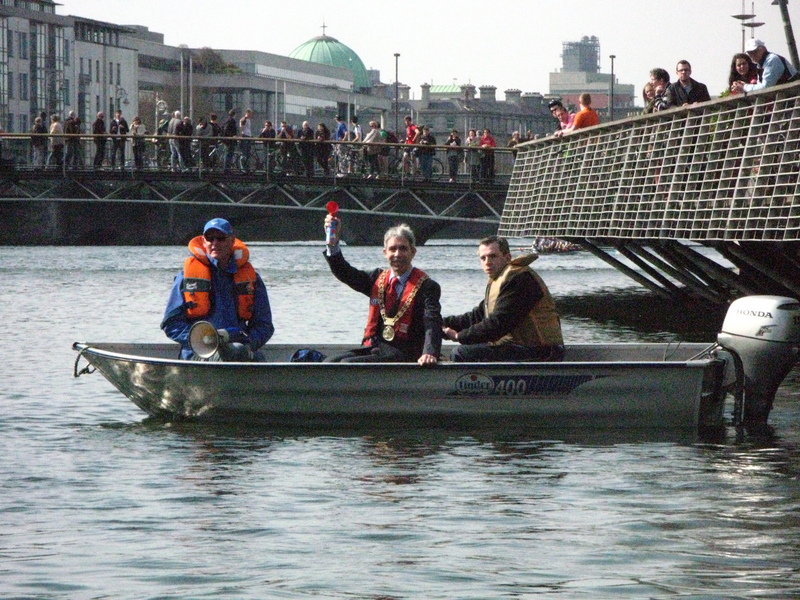 Photos taken at the Dublin Head of the River Race. Hopefully most crews feature.